Malaysia, situated in the heart of southeast Asia, is home to more than twenty million people, who belong to a number of diverse cultural groups, including the Malay, Dusun, Iban, Penan, Sungai, Dyak, and others. 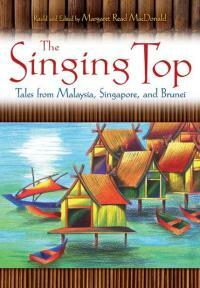 Until now, few tales from Malaysia, Brunei, and Singapore have made their way into print in English. Renowned folklorist Margaret Read MacDonald has worked with archival material as well as with local storytellers to collect traditional tales from these people, including 15 tales from the ethnic peoples of Borneo. Organized broadly by region, and then by specific groups and themes, this book offers more than 50 tales, including animal tales, stories of magic, trickster tales, humorous stories, place legends and more. Like other titles in the World Folklore Series, it also includes general information about the geography, peoples, and history of Malaysia and surrounding areas; as well as proverbs, songs and games, color photos, and notes on the stories. All levels. https://www.youtube.com/watch?v=iCNT6SaTygY Filmed in Hawaii, May, 2016 by Jeff Gere.